It is designed to fold over once (along the light blue line), with the illustration on the front, and your personal message inside. To download the gift card PDF, please click here. 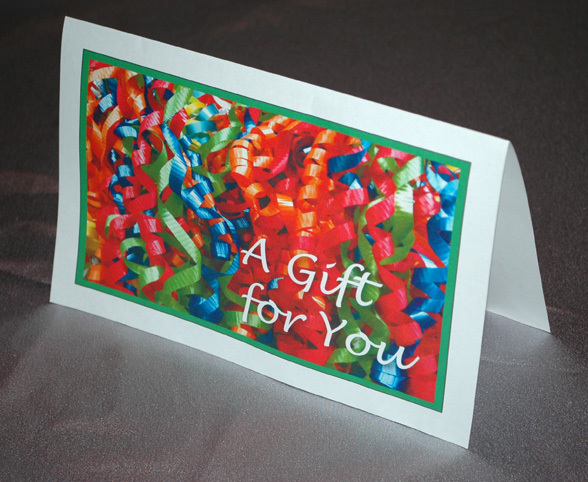 You can then print out one or more copies of the gift card on your own printer.